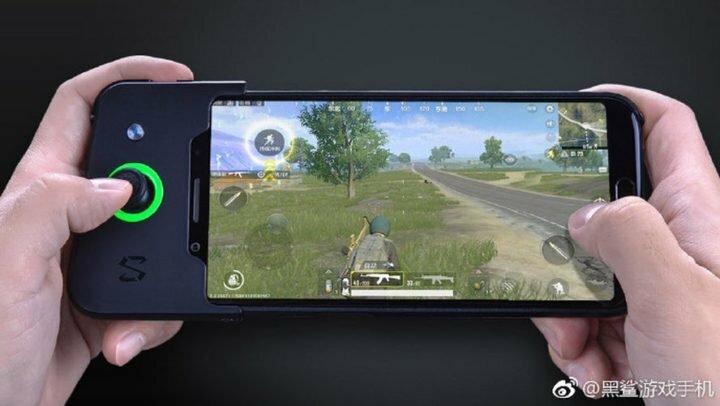 After almost endless teasers and rumors, Xiaomi and it partner Shark company, has today, unveiled the Black Shark gaming smartphone as promised. The smartphone is the company’s first gaming device, dedicated to folks who loves playing heavy graphical games on their handheld devices. The Xiaomi Black Shark smartphone packed Qualcomm Snapdragon 845 SoC and 8GB of RAM. Despite being design primarily for gamers, you still get a capable dual rear cameras, and a larger 4000mAh battery. Design wise, the Xiaomi Black Shark gaming phone is built into a 161.6 x 75.4 x 9.25 mm body, weighing at just 190 grams. 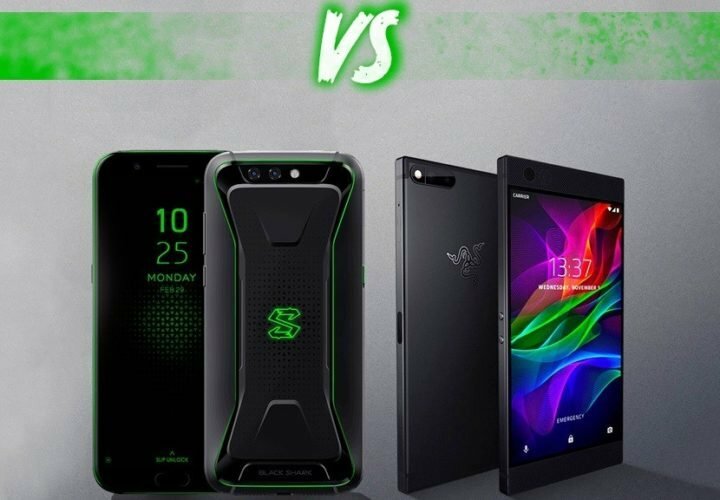 From the front, the handset looks like a regular smartphone, but the rear is designed with the ability to support a Shark GamePad controller, which turns the smartphone completely to a gaming console. The left side of the phone has a dedicated Shark Key that allow users to access impressive gaming zone whereas the volume buttons and power key are on the right edge. The backside of the phone features the dual camera setup and the easily noticeable green colored “S” logo at the center. 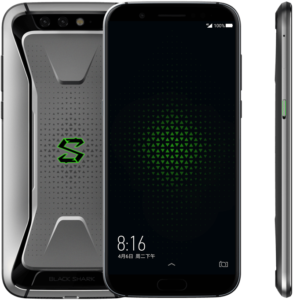 The Black Shark phone features a 5.99-inch InCell display. This display a Full-HD+ with 2160 x 1080 pixel resolution and carries support for DCI-P3 color gamut. 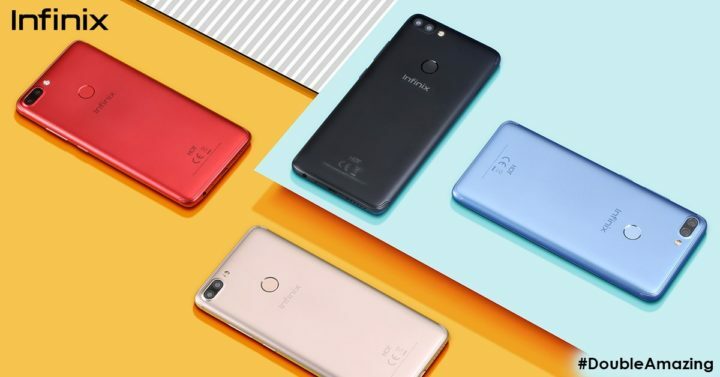 There is also the presence of an MEMC intelligent motion compensation technology, which ensures smoother video quality while playing games on it. 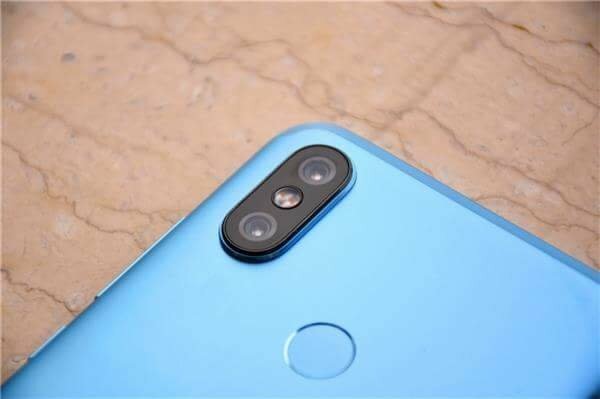 As for the Camera department, you are getting a dual camera setup that features an f/1.75 aperture 12-megapixel primary sensor with a pixel size of 1.25-micron and an f/1.75 aperture 20-megapixel secondary sensor with a pixel size of 1.0-micron. The dual camera setup is equipped with features like 6p lenses, dual-tone LED flash, PDAF, HDR, Portrait Mode and Panorama. Selfie lovers are not left out either, as the device houses a large 20-megapixel camera upfront. The sensor have support for an f/2.2 aperture, 5P lens, intelligent beauty and 4K video shooting at 30fps. The handset is loaded with a gaming focused JOY UI, a customized Android Oreo ROM that includes some core features of the MIUI. While gaming, the fingerprint sensor canbe swiped to Shark Dock that includes handy features like silent mode, DND and more. The Black Shark Phone metamorphoses into a true gaming device by connecting its Bluetooth-enabled gaming Shark GamePad to the top portion of the phone (as shown below in the image). It is packed with a joystick, a trigger and a 340mAh battery that offers 30 hours of power. The gamepad can be used with other Android devices too that support Bluetooth 4.0 and Android 4.4 or above. 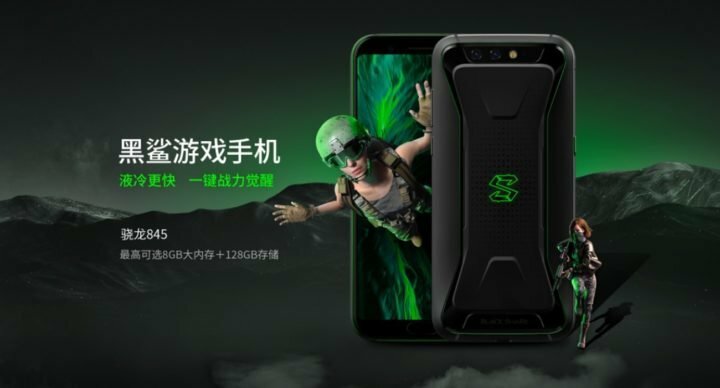 The connectivity features available on the Black Shark gaming phone include USB-C, Wi-Fi 802.11ac, 2 x 2 MIMO, Bluetooth 5.0, 4G VoLTE, dual-SIM support, GPS, APGS, GLONASS. The Chinese manufacturer has employed X-shaped smart antenna design which ensures that its users do not face signal connectivity issues when held the device is held horizontally or vertically. For immersive gaming experience, the Black Shark smartphone is also equipped with Hi Fi audio, stereo speakers with dual Smart PA for amplified audio output. 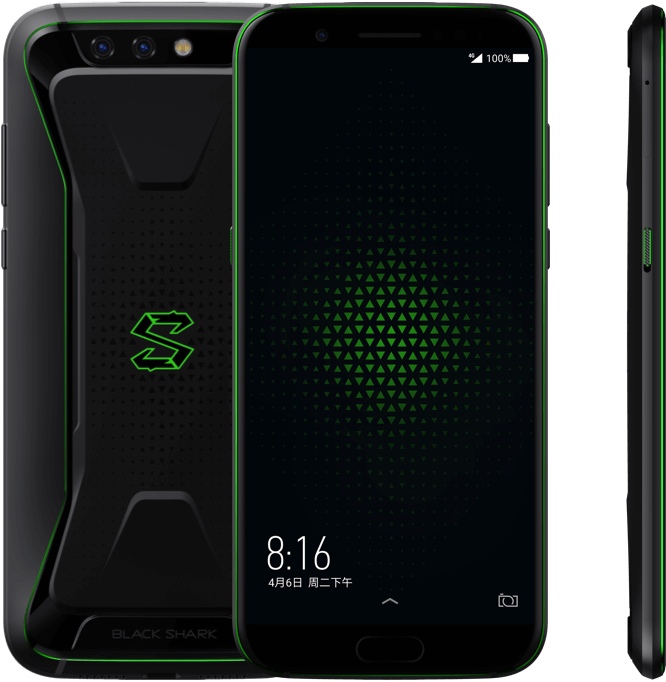 The Xiaomi Black shark gaming smartphone is available in Polar Black and Sky Gray, and will be available starting April 20, 2018. 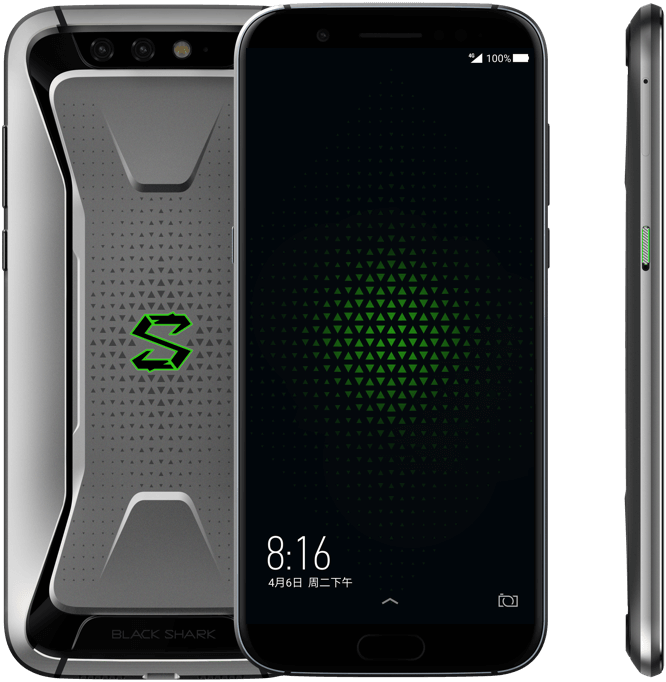 As for pricing, The 6 GB RAM + 64 GB internal storage is priced at 2,999 Yuan ($477), while the 8 GB RAM + 128 GB storage editions of the Shark gaming phone will set you back for as high as 3,499 Yuan ($557). And if you want to enjoy full gaming experience on your device, then consider adding the Shark GamePad with an extra budget of 179 Yuan (~$29).